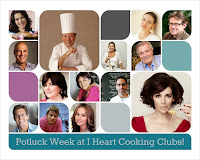 "September 2015 IHCC Potluck", the theme for this week at I Heart Cooking Clubs (IHCC). For our potluck week, I've made Nigella's garlicky flatbread. I've been wanting to make this flatbread for quite sometime. With garlic and parsley, it already sounds so aromatic. According to Nigella, "These are something between garlic naan and herby focaccia". Yes, it is similar to a focaccia and can't help thinking how close it is to a fougasse too, when I took a crispy bite of it! Crispy crust with chewy texture on the inside. Oops...ignore the pinch-off corners of the bread! The photos before this, are not clear, so I've got to clean the lens of the camera and took the photo again, but that corner was torn off by then, (for quality control purposes!! hahaha!). The dough is mixed and left to proof before it's punched down, separate into two halves and shape each half into squares or oval, flattened and leave to proof until puffy. Make some dimples on the puffy breads with your fingers, and spread the garlicky parsley mixture over it. Bake till golden and crispy. I have reduced the amount of salt slightly to 3/4 tablespoon and the next time, I will reduce just a little bit more. I have used only 1 cup of water, and still find that the dough is sticky, so I have added about 1/4 cup of bread flour. The type of flour and our humidity weather do make a difference when mixing a dough for bread making, so adjust accordingly. For the garlic and parsley mixture, firstly the garlic is baked for about 45 minutes, enclosed in a parcel of foil. Leave until cool enough to handle. Parsley leaves are chopped in the food processor, then the garlic is squeezed out of their skins into the food processor and process again. Pour in some oil, while processing to a paste. I "overdo" it for both the garlic and the parsley. I added extra garlic heads and used a large bunch of parsley. The paste does not look anywhere like Nigella's, but I am not complaining, it tasted good! I added some salt and coarse black pepper to the paste too. (I omitted the sprinkle of salt during serving). 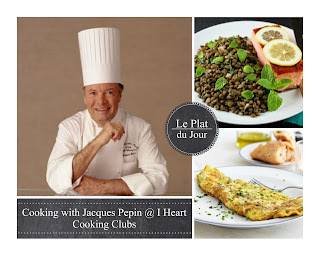 These hearthbreads are yummy! Especially so when fresh out of the oven. I've baked them a little longer than the recipe stated, because I love crispy crust. With the crispy crust and chewy bread texture on the inside, this reminded me of eating a fougasse! And even though the garlicky-parsley paste did not look at all like Nigellas, it is delicious! And I'm glad I've added some coarse black pepper, yummy! I did not sprinkle any salt or drizzle any oil over it. The paste is oily enough and the bread itself is salty enough. Good enough to eat it as it is. I had this with a mug of hot tea, it was good! Combine the flour, yeast, and salt in a bowl. Pour 1-1/3 cups warm water into a measuring cup and stir in the olive oil. Mix the liquid with the dry ingredients to make a soft but firm dough, adding more liquid as needed, and either turn this out onto a surface and knead by hand or keep in the bowl and use a mixer fitted with the dough hook and knead until smooth, supple, and full of elastic life. Form into a ball, wash out and dry the bowl, oil it, and turn the dough in it so it's lightly oiled all over. Cover the bowl with plastic wrap and leave to rise for an hour or so until doubled in size. While the bread is rising, trim the tops off the heads of the garlic, making sure they remain whole, sit them in some torn-off squares of foil, dribble over some oil, and wrap them loosely. That's to say, the package should be baggy but the foil tightly sealed at the edges. Cook the garlic packages for 45 minutes; they should not be mushy by this stage but still just holding their shape. Remove from the oven, unwrap, and let cool till you can handle them. Turn the oven up to 400F. Tear the parsley leaves from their stems and add a good handful to the bowl of the food processor - not worrying if some stems here and there are left on - and chop. Squeeze the soft garlic cloves out of their skins and into the bowl and process again. Pour in enough extra-virgin oil to make a runny paste down the funnel, while still processing, and leave this pungent emulsion where it is while you get back to the bread. When the dough's risen, punch it down and leave to rest for 10 minutes. Divide the dough in half, and get out 2 sheets of baking parchment. Sit a ball of dough on each, and roll out to form a curved rectangle or bulky oval. Then, using your hands, press out a little more. 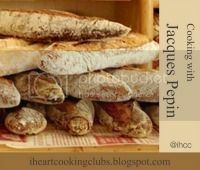 Transfer the breads on their papers to the baking sheets, cover with tea towels and leave to rise and get puffy for about 25 minutes. Poke your fingers all over the tops of the breads to dimple them, then go back to the processor and pulse once or twice to make sure the parsley, garlic, and oil are combined and pour this green mixture all over the corrugated flatbreads. Put the baking sheets into the oven and bake for 20 minutes or until the breads are cooked - becoming golden in parts, with the garlic flecks a darker brown, and the rims puffing up around the oily topping. Whip out of the oven and drizzle over a generous amount of good extra-virgin olive oil. Sprinkle over some salt and set down on the table for people to tear greedily at with their bare hands. 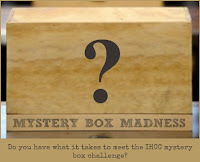 "September 2015 Mystery Box Madness Challenge", this week's theme at I Heart Cooking Clubs (IHCC). Ten ingredients are given and we are to select at least three to make a dish from any of IHCC's past or present featured chefs. The ten ingredients are Salmon (fresh, smoked, canned), Green Peas (dried, fresh, frozen or canned), Hazelnuts, Eggplant, Parmesan Cheese, Kale, Apples (any colour/kind), Blue Cheese, Rosemary, Bread Rolls/Buns. I've made Jamie Oliver's Blue Cheese, Hazelnut and Apple Salad. Simple, easy, quick and refreshing! This is the first time I'm trying Blue Cheese, and find that I like it! It is a little strong in taste, creamy with a distinctive smell. It is a little salty, so I've used a small amount for a plateful of salad. I did not have any spinach but have used lettuce greens which I've sliced to shredded pieces. I've used two apples, red and green, to get a mixture of sweet and sour. To assemble the salad, place the shredded lettuce on a serving plate, top with apple slices, crumble the blue cheese over, scatter the toasted hazelnuts, squeeze the juice of a lemon over and drizzle with some extra virgin olive oil. I like this salad! Sweet and sour from the apples, fresh lettuce greens, salty cheese and crispy toasted hazelnuts, with the lemon juice and olive oil, makes such a lovely combination! Toast the almonds in a small frying pan until golden, tossing regularly. Put the spinach in a salad bowl, coarsely grated the apples over or slice to matchstick, then crumble over the blue cheese. Crush the toasted nuts in a pestle and mortar, then scatter over the salad. Drizzle the salad with extra virgin olive oil, and squeeze over the juice of lemon. September 2015 Mystery Box Madness"
The theme for our Bake-along #86 is "Yeasted Pretzels", chosen by Lena to bake together with Zoe, myself and everyone is invited to bake-along with us. For our next Bake-Along, we will be baking "Chocolate Pots de Creme" (from Williams-Sonoma Baking Book, pg 356, or here). 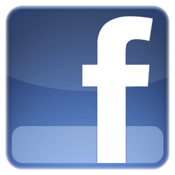 Please do join us, and link your post to our linky which will open from 17th till 26th September. Everyone is welcome to join us! Only current post please.